Hello everyone. Today I am enlisting 5 best books for robotics. Nowadays, Robotics engineering is on peak. New researches and innovations are coming in a very frequent manner. The robotics even become a separate branch of engineering. Beside this many branches of engineering has a special subject of robotics in the course curriculum, whether it is mechanical, computer science, electronics, electrical engineering etc. robotics is a system which is a combination of these core engineering. In the list of books given below the first three books is higher level books because these books start from basic theory and goes up to development phase with programming in robotics. 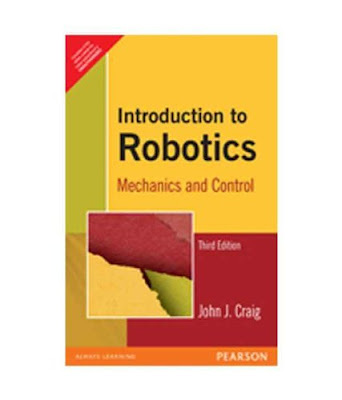 Although the beginners can also prefer these books because there is a lot to learn in the field of robotics. Last two books are based on building a real robot practically. These books do not have much theory part because the main focus is about building a robot. So it demonstrate all the requirements for this purpose. This book explains the robotics up to the development level. Generally the book is recommended for the one who wants to develop a robotic system i.e. book focuses on the application part. The students of robotics engineering must read this book. The mechanical control and movement manipulation is described vey well. The book is consist of programming problems which is important to develop a robot. In the new edition of the book a chapter of MATLAB is included. MATLAB is a simulation software used to test and simulate a model. In the robotic it may be beneficial to have the knowledge of MATLAB. The book covers almost all the important aspect of robotics i.e. mechanics, control sytem, computer science, programming etc. most of the chapters are bases on mechanical manipulation or mechanics. The book is helpful for graduate level student to an engineer of robot development. It was the best-selling books when the first edition as released. 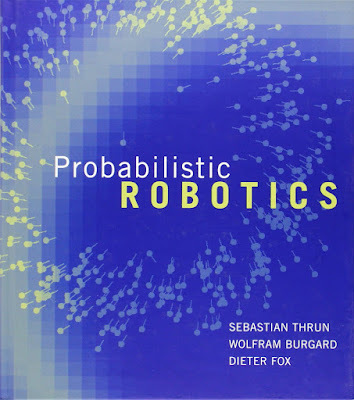 The best part of the book is, the book do not focuses much on the theory part of the robotics. The readers do not need to study those heavy engineering terms. The book is based on building a robot practically. The various materials and tools required to build the robots are described in a simple manner. The books start from right here. Then the book explains how to make the prototype and then how to build the body of robot. Finally the whole system is built by making the circuit board to control the system. The extract of the book is that you will learn the whole process of building a robot by building it by yourself, practically. This book is simply awesome and don’t need enough word to be explained how helpful this book is. The book is the complete guide of building the robot.The book has in depth analysis of fundamental of Robotics. The book is mainly targeted to the beginners. 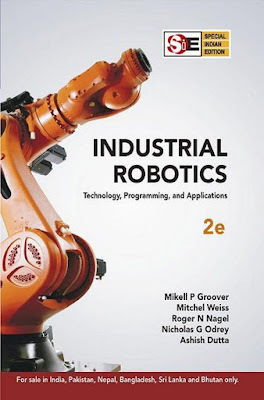 It focuses on technology, programming and applications of industrial robots which helps the readers in transition from classroom and lab environment into the applied and practical world of industry. the book offers different methods to build different types of robot because the book is featured with basic programming. 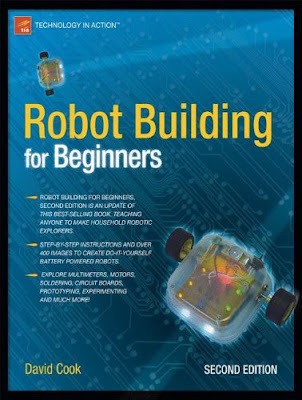 The book is designed for learners and for beginners and for those who do not have any experience of robotics. This is one of the best book of robotics. It covers almost all aspects of robotics and embedded system development. One can understand the robotics from basics by this book. This book is important for all the people associated with robotics field, whether they are teachers, students, engineers, developers, researchers etc. The book has explained advanced methods of estimation theory and probabilistic models. The various techniques and algorithms are given of relevant fields. The chapters are featured with many examples to understand the thing easily. 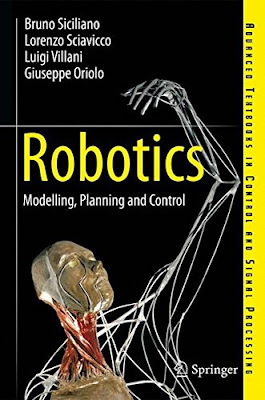 The book mainly focus on the modelling of the robotic system and movement control of the robot modelling means the frame structure or the foundation of the robot. The book very finely demonstrate how the thing works in the robots. So the book is for application part of robotics. The various types of problems are explained in the books related with motion planning, motion control etc. the book also have the basic topics of mechanics like actuators and sensor, kinematics etc. The book includes the chapter of MATLAB. This can be beneficial for those who want to learn simulation along with the robotics and embedded system. This is it. The list is completed. Choose the appropriate book for yourself, learn about robotics and become the part of this world of innovation and revolution. the books enlisted here are bit expensive for Indian users but if you have passion to join the world of robotics then these are the best books of robotics..